The oyster in its shell is a living animal and should be treated with care. Like any other fish or shellfish, it should be kept cool. Store with the deeper cup shell underneath in order to retain the fresh natural juices, and cover with a damp cloth. 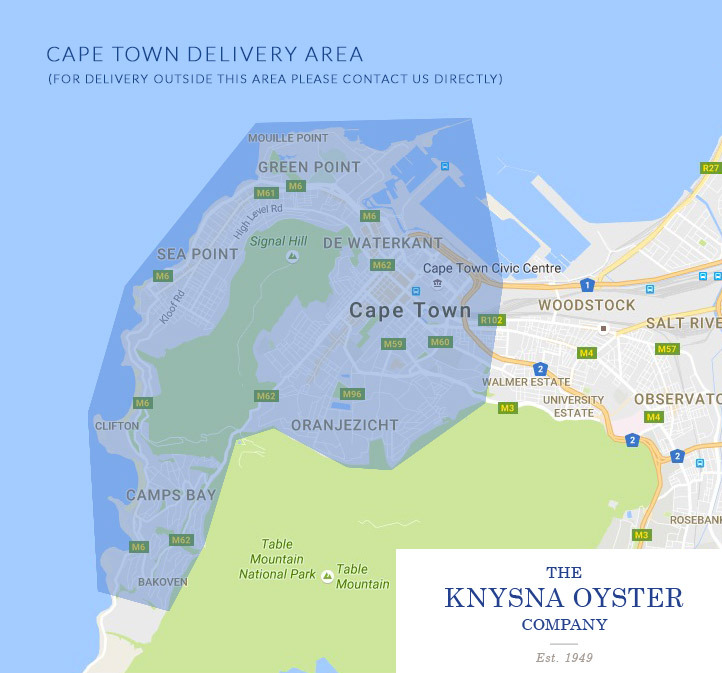 Oysters can be kept alive for a few days in a refrigerator operating at 5-8°C but should not be taken in and out of the refrigerator. 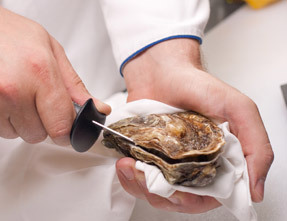 Discard any oysters that are gaping, and do not close when tapped. 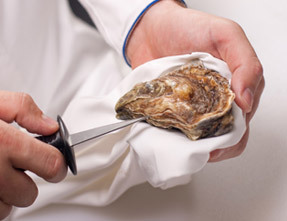 Hold the oyster firmly with a cloth in one hand, hinged end towards you. Insert knife into the small gap in the hinge, twist blade to separate shells. Slide knife blade along inside edges of upper shell to sever the muscle holding the shells together. Discard upper shell. Clean out any pieces of broken shell. 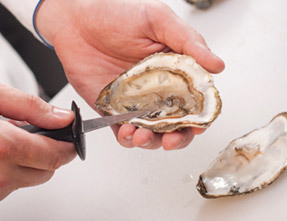 Cutting towards yourself, run the knife blade under the oyster, to sever the muscle attaching it to the lower shell, thereby freeing it.